When the sun is high in the afternoons, it almost feels like summer, and though I need an extra layer for the rest of the day, it's nice to enjoy it while I can. Plus I was wearing my field jacket again and first, I wasn't 100% sure I liked the double green, while second, it was in yesterday's post. So just bear with me and pretend it was that warm the whole day. This weekend I'm finally going to visit The Broad Museum, which is home to the Infinity Mirrors installation. I booked the tickets shortly after arriving in Los Angeles and this was how far out the weekends were booked! While it looks like it's going to be another very rainy week ahead, I'm holding out hope for the sun this weekend. I thnk we can all accept a little bit of illusion in your outfit photos. 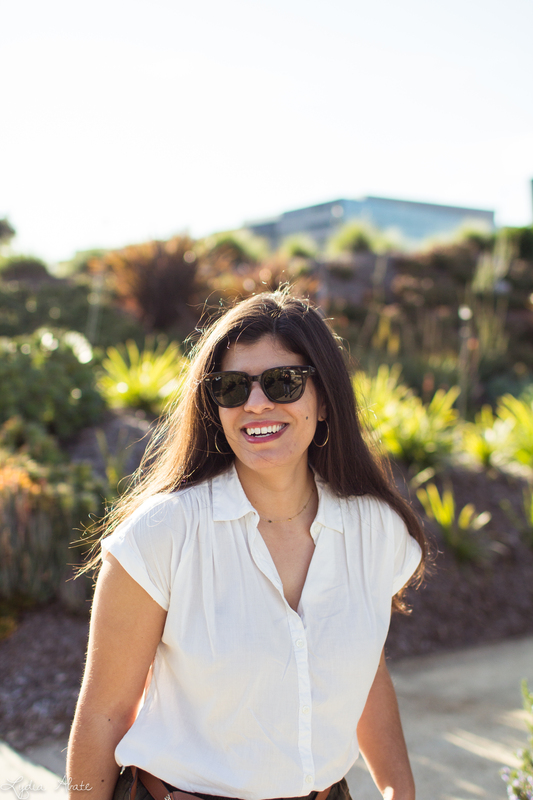 Heaven knows that if bloggers couldn't be forgiven for taking their jackets off to get better shots, my blog would have shut down a long time ago. 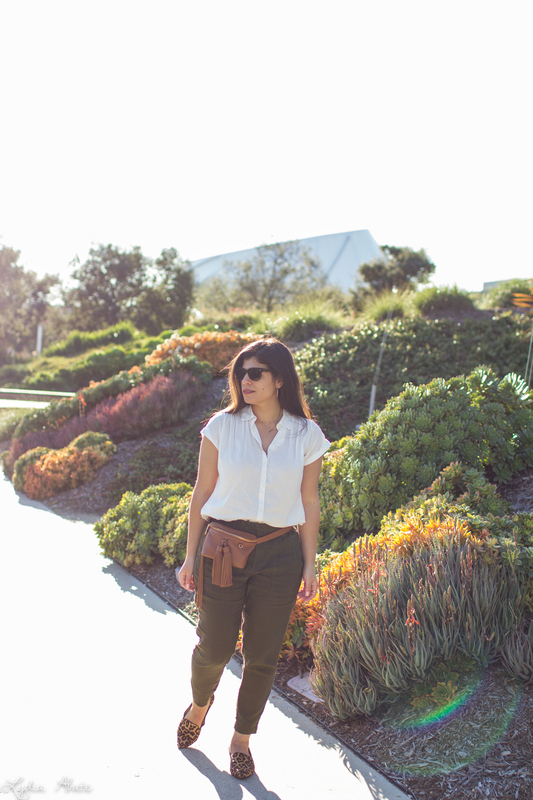 Besides, I feel like the short sleeved top with this look really epitomises the summer feeling of these photos, even if the day may not have been quite as warm as it looks in pictures. I love the shades of cream, green and brown together, and how they work seamlessly with your surroundings without blending into them. Can't get over how gorgeous these photos are! And I love how you paired this outfit with a pop of leopard! Such cute shoes! 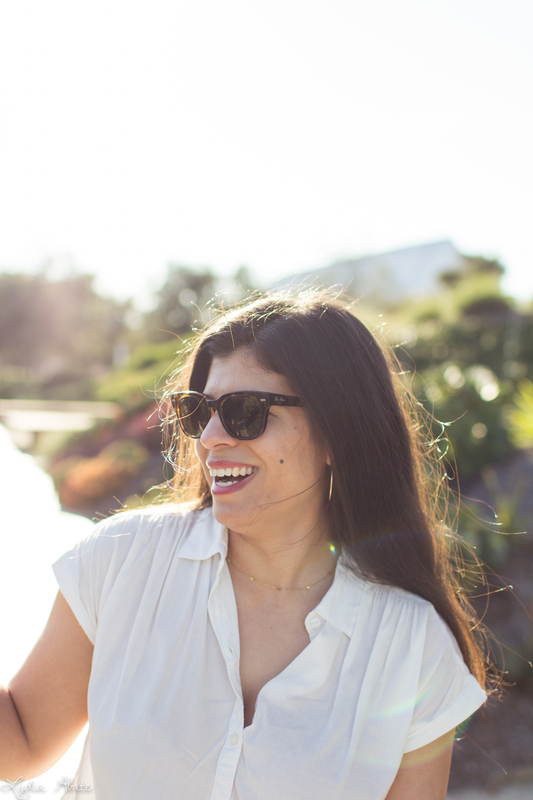 These sunny photos almost made me feel like the weather outside is as beautiful as it is in this photo! 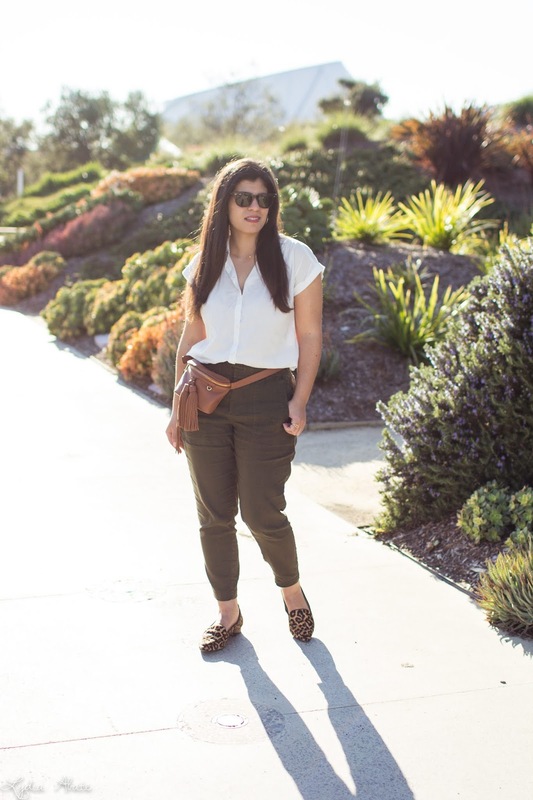 I love the combination of the olive green pants & leopard print loafers! The weather looks so nice- I've never heard of the mirror installation but just googled it-.. I LOOKS AMAZING, enjoy! 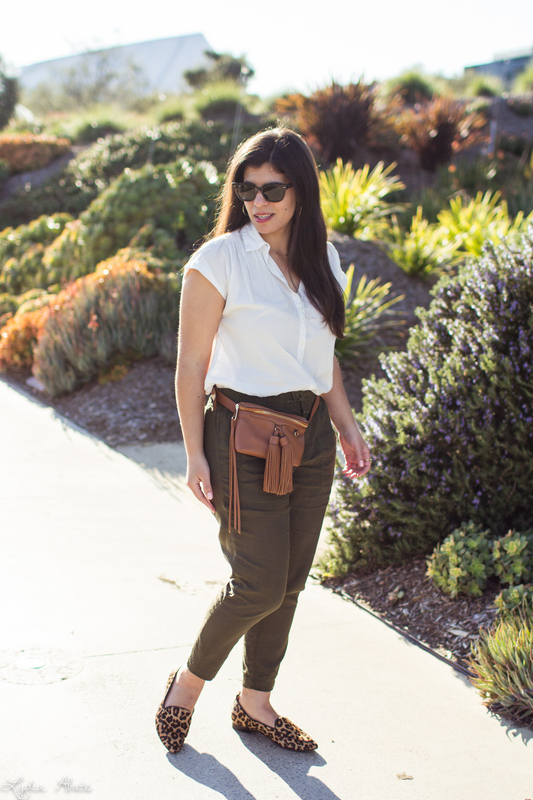 I'm loving your belt bag with this outfit! The leopard loafers are such a great touch too! This is such a cute outfit! 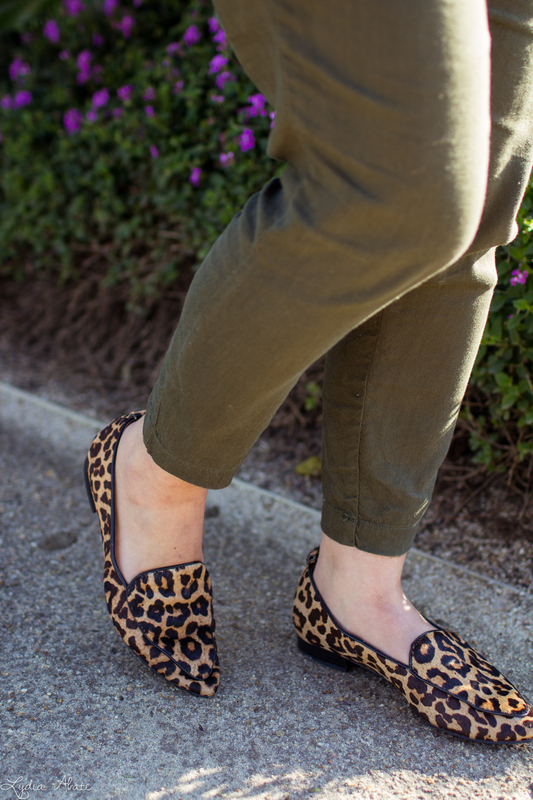 Love the pants and swooning over these leopard loafers! I love this outfit combo! Especially those leopard loafers! Have a fab time at the museum! You're gorgeous! I'm loving this look on you, especially those shoes! I can tell you don't live anywhere close to me, because it's been closer to 40° than summer temps here! But you sure have me craving the warmer weather! Love all these cute neutrals here. 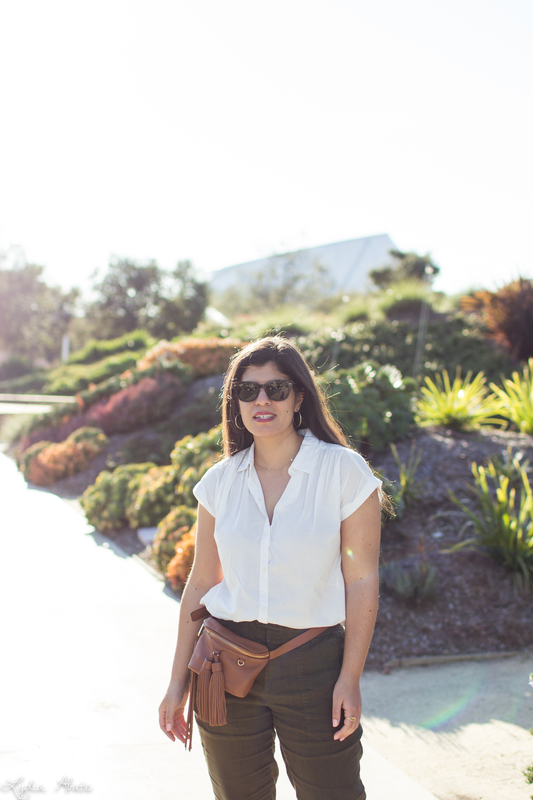 That belt bag is such a great accessory! That belt bag is so cute! All of these neutral colors are so perfect! Such a fun and chic look dear! Loving the bag.